If you are considering purchasing a luxury condominium on Oahu, you may want to buy one that is hotel branded. My first career was in hotel management, so I am particularly interested in this part of the Oahu real estate market. A well-known and respected hotel brand can add incredible value to hotel residences (condos). While the purchase price for branded residences are higher than unbranded, the combination with a hotel typically allows the developer to include more amenities, provide luxury services and increase long term value to the residence owners. 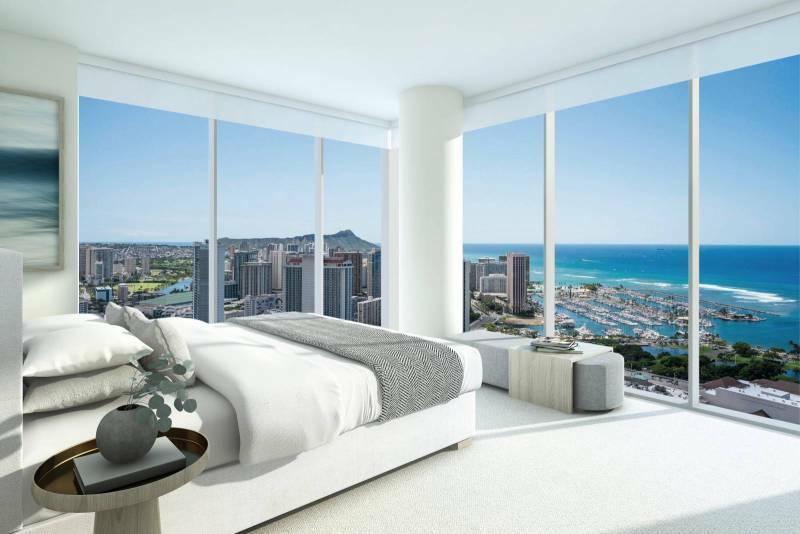 At least three new projects on Oahu will offer both hotel rooms and residences — the Mandarin Oriental, Sky Ala Moana, and Atlantis Ko Olina. These are not your “daddy’s condotels” like what we see throughout Waikiki. The hotel rooms will be owned by the developer and the residences are unlikely to be included in the hotel pool. The Kahala Resort was branded Mandarin Oriental until it was purchased by Trinity Investments in 2005. 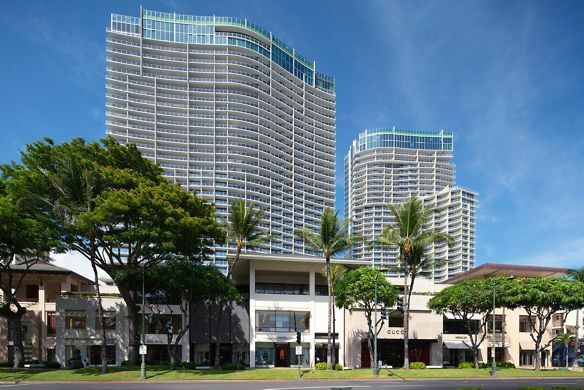 The brand will return to Oahu with a hotel and residences project at the corner of Atkinson and Kapiolani, just across from the Hawaii Convention Center. Mandarin Oriental Hotel Group, founded in Hong Kong more than 50 years ago, now operates 31 hotels and 8 residences in 21 countries. The brand is famous for luxury service, world-class spas, and award-winning restaurants. Mandarin Oriental restaurants have received 23 Michelin stars, more than any other hotel brand. The developer, Salem Partners put together what they are calling the “Honolulu Dream Team.” The team includes [au]workshop architects+urbanists, Dianna Wong Architecture + Interiors, Meyer Davis (restaurant and lounge design), Hart Howerton (landscaping), Fluidity (water features), AHL–Architects Hawaii Ltd (local know-how since 1946), and InterCommunicationsInc® (marketing). The 99 luxury residences are expected to be priced at approximately $5M each. 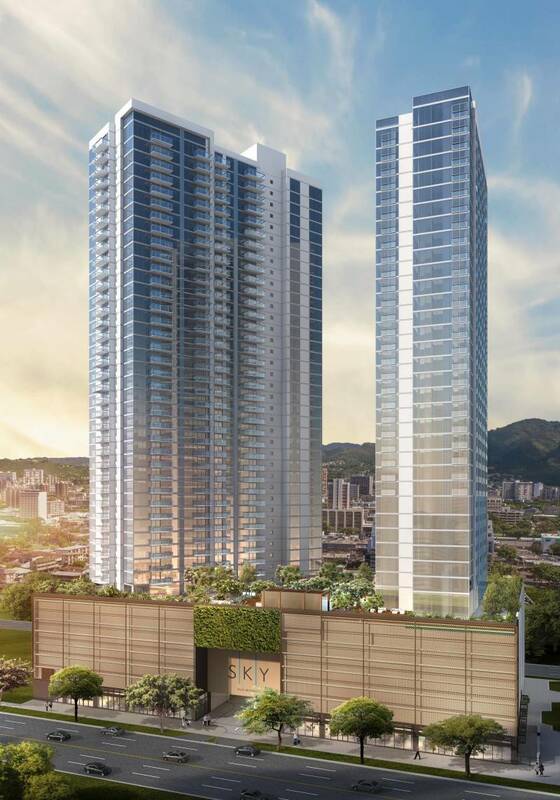 Avalon Group has started to market their newest development, Sky Ala Moana. 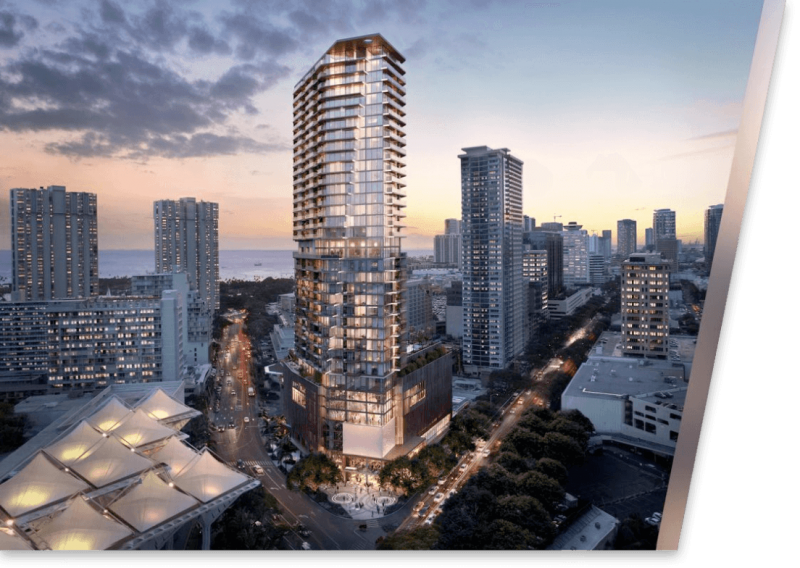 The two-tower complex will rise 43 stories and 400’ high, just behind Ala Moana Center at 1400 Kapiolani Blvd. 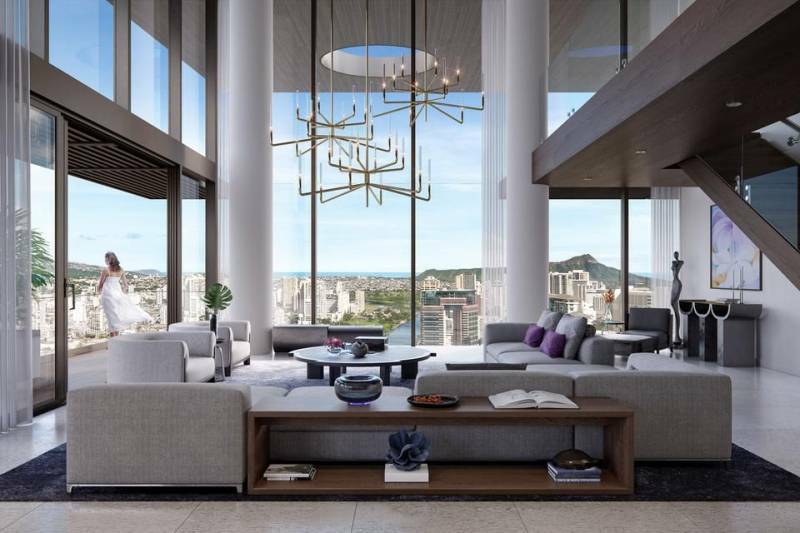 The developer has partnered with some of the best companies in Hawaii including Design Partners Architecture, Philpotts Interiors, Brownlie & Lee Landscaping, and Flux Branding. Only a few of the details have been shared thus far but we do know the residences will offer floor to ceiling windows, there will be on-site restaurants, the amenity deck will sit on a pedestal above 16,000 square feet of Sky Shops and 933 parking stalls, and rental terms for the residences will be just 30 days. Unlike the Mandarin Oriental and Atlantis, Sky is not a well-known hotel and residences brand. This means Sky provides lower pricing (e.g. $500k vs $5M) but hopefully some of the benefits of being affiliated with a hotel (improved amenities and service). The website for Sky Ala Moana launched in early January 2019. 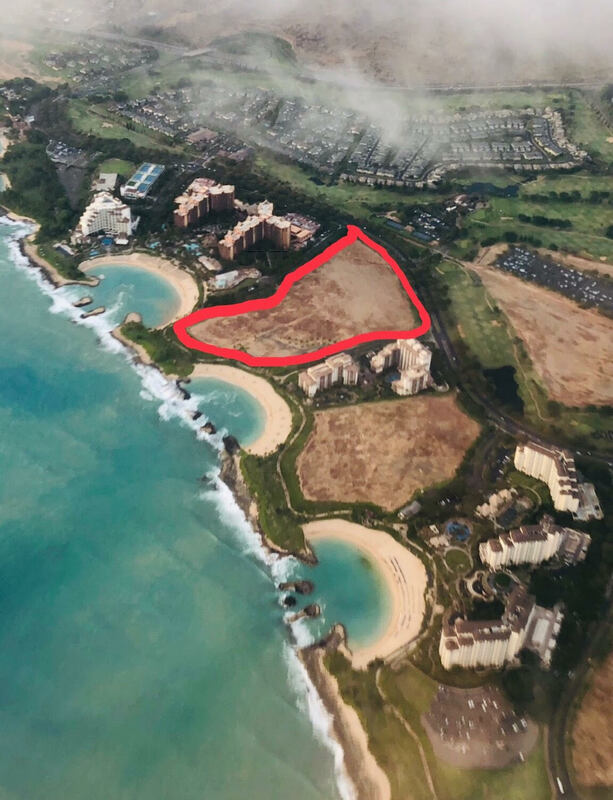 China Oceanwide is apparently moving forward with their Atlantis hotel and residences project on 26 acres to the west of the Beach Villas in Ko Olina. There are currently just three Atlantis resorts in operation; in the Bahamas (3000+ rooms), China (1300+ rooms) and Dubai (1500+ rooms). Atlantis is owned by Kerzner which has a second brand, One & Only, with 9 luxury boutique resorts and 6 more in development. The Ko Olina Atlantis will offer approximately 800 hotel rooms and 524 residences. The anticipated opening is no sooner than 2021. The other proposed projects for Ko Olina including two hotels, a timeshare resort, and a 500+ acre master planned community, all owned by China Oceanwide, are less likely to break ground in the next few years. Pricing and other details are not yet available. This building started as a traditional hotel but later became a “condotel” under Outrigger. Each studio and suite is individually owned but 90%+ participate in the hotel rental pool. In 2016, Mantra Group from Australia purchased the management contract for $52.5M. Mantra Group operates 138 hotels in Australia, New Zealand, and Bali and specializes in condotels (what they call “strata”). Then in early 2018, Mantra Group was purchased by Accor, a French-based behemoth with more than 5,000 hotels worldwide, for $1.2B. This should expose the hotel to all of Accor’s sales, marketing, and reservation channels as the merger/purchase is finalized. The residences are already in high demand by investors and as vacation homes; the buy-out by Accor should only improve their value. The hotel is also in the process of a multi-year refurbishment. In 2016, all 1,176 guestrooms were renovated. In January of 2018, Rumours nightclub was closed and “rumors” have it that it will turn into an office suite. Central air-conditioning and other mechanical improvements have been completed. Refurbishment of the lobby, porte-cochere, pool deck, and function space are all planned. The Ritz-Carlton is one of the most recognized and respected brands in luxury hospitality. The brand was formed by merging two iconic names, Ceasar Ritz in Paris and the Carlton hotel in London, for the first Ritz-Carlton in Boston in 1983. Now part of the Marriott family, the brand has 91 hotels and 45 residences in 30 countries. 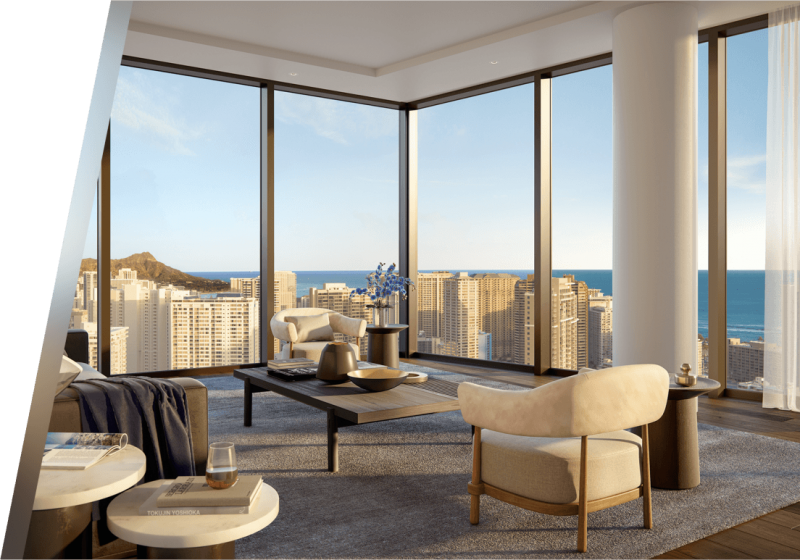 The new Diamond Head Tower in Waikiki opened on October 15, 2018 with 245 additional ocean view rooms and suites. The towers were designed by Guerin Glass Architects and Jon Brent Design Interiors. Both towers combined offer 552 residences, including 246 suites with one to four bedrooms. The Ritz-Carlton now offers the largest number of hotel luxury suites on Oahu and the two highest infinity pools in Waikiki. The spa has expanded in size, adding four treatment rooms and a relaxation lounge. And the new tower will have a new restaurant to be launched in early 2019. Luxury branded hotels and residences are growing in popularity around the world. In addition to Mandarin Oriental and The Ritz-Carlton, other luxury brands including Montage, Four Seasons, Auberge and St. Regis are rapidly expanding their hotel & residences presence. If you want the luxury amenities and service of a 5-star hotel when you visit your vacation home (or permanent home) on Oahu, this may be the winning combination for you. If you appreciate the value that a luxury brand provides for your experience and investment, then I would love to share my hotel and real estate knowledge to help you find the right home. Artist renderings courtesy of project developer. I am interested in learning more about the Sky studios and 1BR. I plan to retire to Oahu in 2028 and would like to purchase a home in a couple of years. Thank you for your interest and reading my blog! Separate e-mail was sent with more information.